Members of the Dayton United Methodist Church in Dayton, Pennsylvania annually travel to the Dominican Republic. Here they minister and build homes and churches for the poor populace. These homes are unbelievable to the American way of living. The homes replaced often feature corrugated tin for walls and roof. Tin with many holes are the norm. Light and rain easily pass through them. To see their annual videos of their efforts type in or click here: www.godtube.com .Once at that site type in “superparakletos”. Then look and click on Dominican Republic Mission trips. The scenes are very moving. You should be thankful we live in America!!! 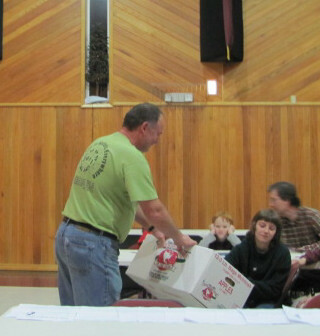 This evening, a fund-rasing event was had to help raise cash for the 2012 trip. The group features music, a turkey hunting seminar; gospel presentation; free spaghetti meal; drawings for door prizes and fellowship. 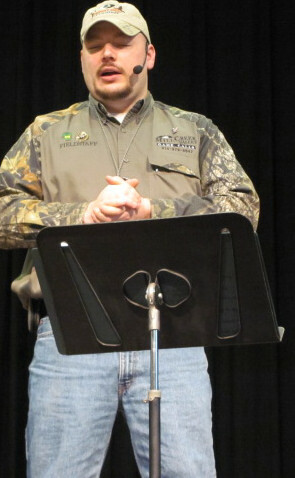 Shawn Kotchey (www.millcreekvalleygamecalls.com) presented the turkey hunting and call seminar. As always, Shawn supplies a wealth of information to the turkey hunters of the group. To see his assortment of hunting supplies and calls visit his website . 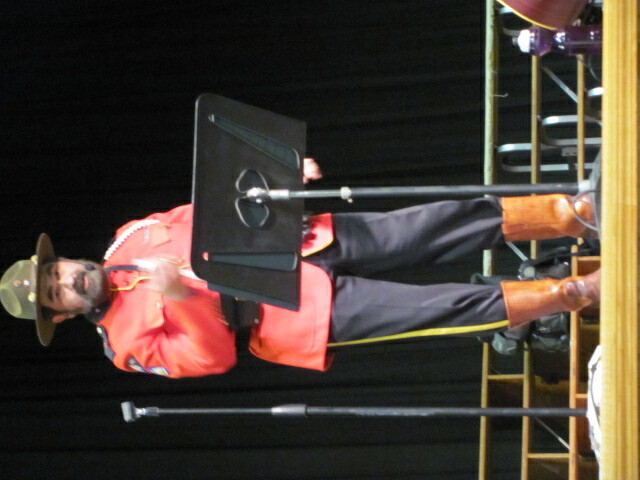 Musical entertainment for the evening was performed by Michael Coats and myself. 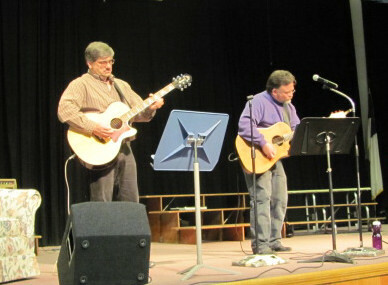 We did an acoustic set featuring contemporary gospel music such as: Shout To The North; In Christ Alone and the moving song, It Is Well With My soul and a few other songs. Great job with your mission work! It was great seeing you as always, glad to see the Lord brought lots of people, can’t wait till next year.